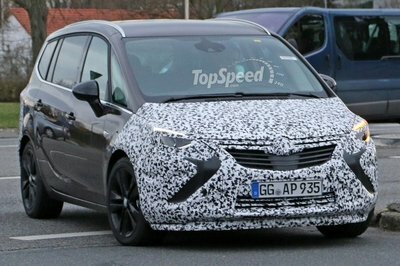 Yet another brand that’s looking into breaking in a new design language for their future models, Opel will be introducing the second model that will be carrying the company’s new styling cues at the Geneva Motor Show. Following the Opel Ampera, get ready to be introduced to the Zafira Tourer Concept. Like with most concepts being designed these days, the Zafira Concept has plenty of new features that may or not make it to the production version. Since it’s all about show-and-tell with cars of this variety, Opel made sure to give the Zafira Concept plenty of eye-catching digs. On the outside, the tourer’s design language is similar to the features found on the Opel Ampera, including a front fascia that also comes with a boomerang-style character line with LED daytime driving lights, bi-xenon headlights, a glass roof with integrated ambient lighting, and a panoramic windscreen. Meanwhile, the Zafira’s interior comes with what Opel describes as a “lounge on wheels”, highlighted by electrically-powered headrests that swivel 90 degrees horizontally, ensuring passengers of experiencing “pure wellness”. In addition to the spa-like atmosphere, the Zafira Concept also has three rows of seats with the second-row center seat capable of being folded down to make room for an armrest. Meanwhile, the third-row seats can also be manipulated with a simple press of a button, where it automatically folded into the floor. There’s still no official word on what kind of powertrain the Zafira concept will have, but the most likely of all options is a1.4-liter turbocharged engine with a likely output of 138 horsepower and 148 lb/ft of torque. I must agree with what the article had said, this Zafira Tourer Concept really has plenty of eye-catching digs. The over-all looks and features are really snob and cool. 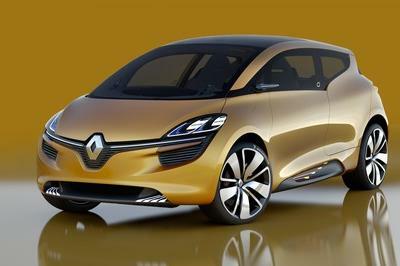 I must agree with what the article said, this Zafira Tourer Concept really has a plenty of eye-catching digs. The over-all looks and features are truly snob and cool. This concept is really oozing with angst, especially on its headlights. It looks so unique on that. Good thing as well that it has an impressive and luxurious interior, but I hope that they would truly put it on the market. Yeah! I agree with you Albe Winston, although this car had a similarity features to the other car, still it is a good-looking car. I wonder if what will be the figure performance of this one? Hmm, anyway, I must say that this one is absolutely striking on its aesthetic design, and I love its luxurious and very comfortable interior. Zafira is one of the most impressive and striking concepts that I saw nowadays, and I must say that it really looks so stunning and fabulous on its body paint, and I love the interior of this one. I’m so fond with its headlights. It gives so much angst and brings aggressiveness on its appearance. Even the interior was looking so great and fabulous! Anyway, when will be the debut of this? I have to agree with what the article said, this Zafira Tourer Concept really had a plenty of eye-catching digs. The over-all looks and features are really snob and cool. Therefore, I found a very satisfying one. The headlights give so much angst on this Tourer concept. It looks so elegant either. I’m not fond with the wheels that it had, but I think it’s just suited on this van. I also noticed its awesome interior. At first look the headlights caught my eyes. I really like the style and the convenient type of seats and interior of it. I like every features of it. I noticed the angst on the front headlights of it! Even it didn’t have lots of exterior styling. It is already stunning. 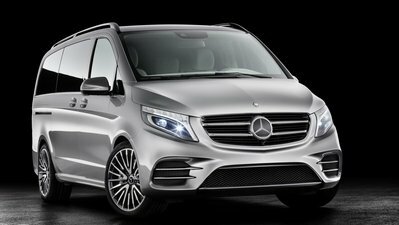 I can’t wait to see this one on the road. I love the front end designed on this Tourer concept even the aggressive front headlights of it. I think this is the most impressive concept that opel had. This Opel Zafira is suitable for long hours of driving,it has an inviting space and extending footrests for you to relax on long drive. 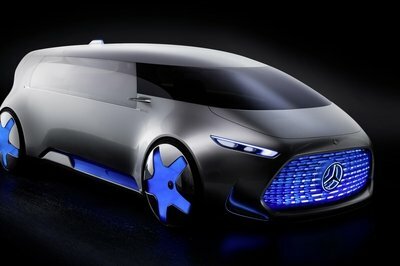 Wow, this one is really a luxurious car! It seems that it is so fun to drive and ride on. The interior is also seems so cozy and relaxing and refreshing and the front headlight is so cool. Zafira is really an impressive concept, well Opel lots of great concept, they should really put them on market production and I must say that I’m so excited with this one. I must agreee with what the article said, this Zafira Tourer Concept really had a plenty of eye-catching digs. The over-all looks and features are really snob and cool. I am so fond with the headlights of the car, and I can say that this one really stand out for me. I’m hundred percent satisfied with the looks and designs. Keep it up! The headlamps are great! A really an eye catching car. Opel Zafira would surely hit the market sells. Hmm, they would probably use the closest powertrain match for this one. Most likely, they would go with that of the Insignia, since it is a close match. 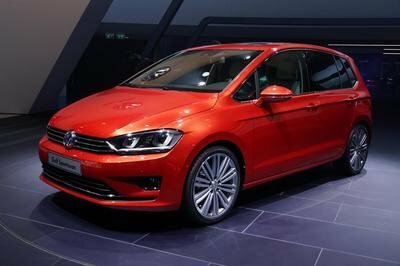 Zafira Concept plenty of eye-catching digs, It has a superficial ability to grab your attention as well, And the fact that this concept is experiencing a pure wellness texture of exterior designs outlooks.